This is a recipe my brother sent me to try from Dr. Fuhrman (here's the link to his Facebook page and the recipe) "Cuban Black Bean and Cauliflower Mash" I added some cut up avocado and a bit more chili powder and cumin than he calls for, but it's good either way. Make a big pot and have a Happy Halloween. IS MEAT THE ONLY WAY TO GET GOOD PROTEIN? This is a great article and easy to read. Will people ever stop asking that annoying question? Click on the article and subscribe to Forks Over Knives for more inspirational stories. 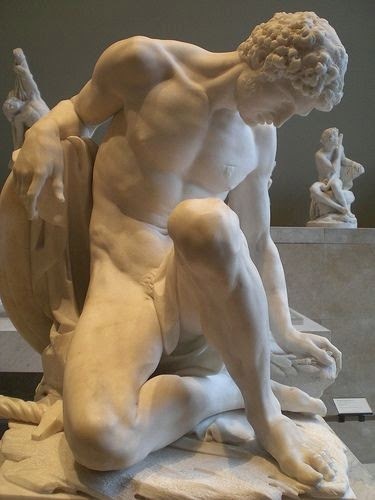 A Study of some ancient bones of Gladiators revealed that they ate mostly vegetables and grains and drank an odd concoction of plant ashes for their minerals. I wonder if anyone challenged their diet by asking "where do you get your protein?" Check out the article link below! It's that time of year again to visit your Farmer's Market or Grocery Store and get you some Root Vegetables and other Fall produce. As the weather begins to get a chill in the air, soups and stews are on the menu. 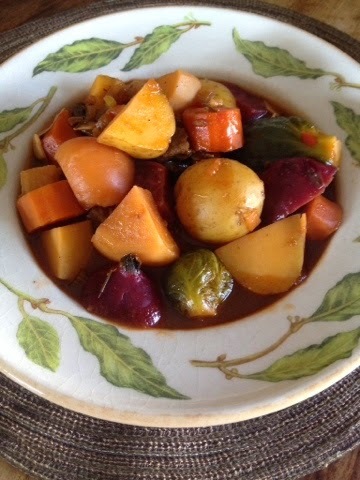 In the stew shown above I incorporated Red Beets, Golden Beets, Turnips, Yams, Yukon Gold Potatoes, Carrots, Celery, Onions and Brussels Sprouts. 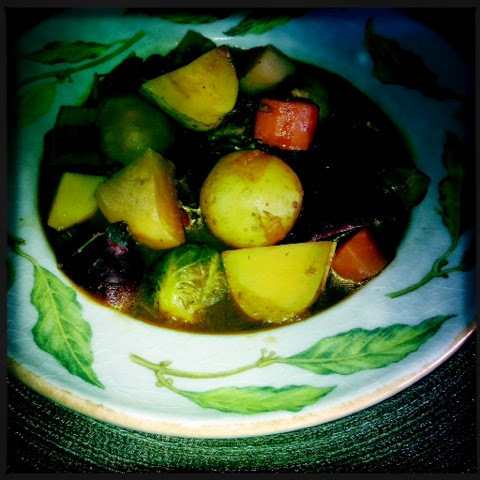 With my rich Homemade Roasted Vegetable Stock, a little red miso paste, Tamari, balsamic vinegar and Mushroom Base this stew has a very rich, full taste. I encourage you to always have those ingredients in your pantry and fridge as they really add richness to soups, stews and gravies. There is still an abundance of zucchini available along with the squashes like Butternut and Pumpkin... Be creative and enjoy roasting and preparing Fall Veggies. 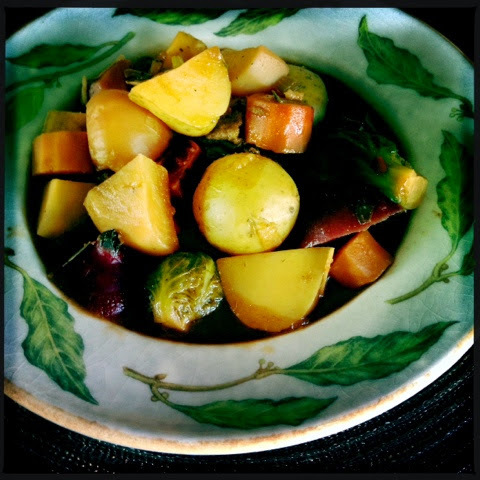 If you want the recipe, here's the link for My Fall Stew. 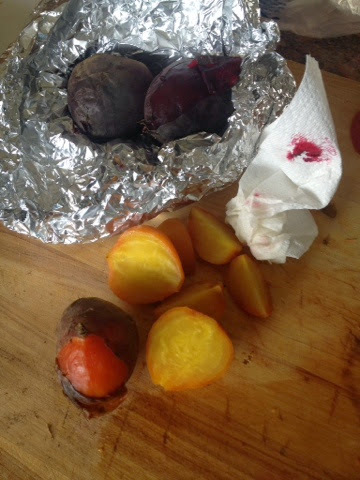 Roast Beets in aluminum foil in a 400˚ oven for 45 minutes to an hour (depending on the size) A knife easily inserted into one will tell you it's done. 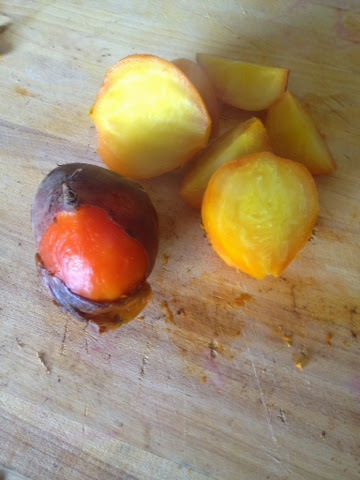 Also, wash but don't peel the beet before roasting it. When it's done and cooled down a bit, use a dry paper towel to remove the skin. It's easier than peeling as the skin comes right off.